So this running blog started out as personal diary of sorts for me and almost nobody read it except my late Aunt Nancy and my mother. Slowly, a few other relatives started reading it and life went along just fine. Then I started down this ultramarathoning (specifically the 100 miler, known as a ‘Hundo’) path and I seemed be quite successful. More and more people started asking me for advice on what I did since it was working, and so this blog is now my test bed for my specific training advice. While my race entries give a hint as to the work I do in between races, I thought it time to start explaining in a little more detail what I do day to day to achieve the success I have have found. I have no silver bullet for hundo training, and many people who train for hundos do so in a very different way than I do. I also know many people who have DNF’d hundos by following some other method of training. As with any training schedule or advice, I subscribe to the ‘to each his own’ theory. I will simply say that as of this writing I have completed seven hundos with exactly zero DNF’s. 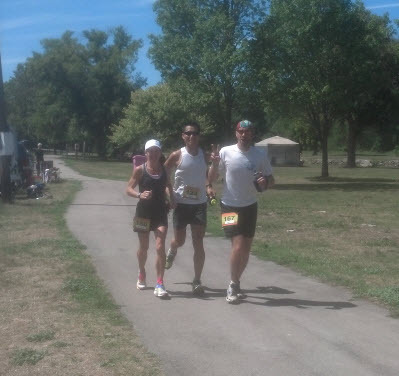 What you are about to read is the core training piece of what helped go from a career personal worst (PW) 100 mile time of 21:02 in January of 2012 to a personal record (PR) of 15:27 in August of 2012. Feel free to take or leave it, but I promise, if you can do this workout. your chances of finishing a hundo go way up. First, we need some motivation. The DNF is the worst thing to happen to a distance runner, not for only the immediate dejection of the resultant race but because of the more permanent damage: the memory of a DNF and how great it felt. I talk more about DNF’s and its negative connotation elsewhere, but at this point just trust me, DNF’ing is a bad thing. Recovering from one is really tough, so lets just avoid it in the first place, m’kay? There are two basic reasons that people DNF. 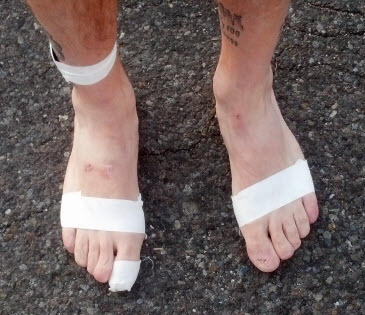 The first involves something tragic that happens race day such as breaking an ankle. Urinating blood is also a good reason to stop. These DNF’s do not count (in my mind) as the ‘bad’ kind as they lie outside of your control. The other reason DNFs occur is because of lack of preparation. Leg cramps, exhaustion, and upset digestive system are three of the most common reasons people bail in a hundo, and all three are completely preventable in my opinion. 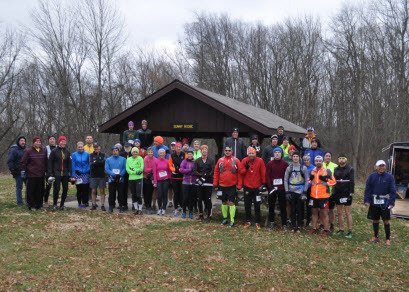 It simply requires better training and this 1-week training schedule will help because it will prepare you physically and more important mentally for the journey that is a 100 mile race. Let me give you the punchline first. This is called the Hundo Stairstep Week or HSW, for short and it is a simple 7 day script for daily mileage, 0 - 30 - 0 - 35 - 0 - 45+ - 0. That’s it. Now go do it. Ok, if your jaw just hit the floor because the thought of doing 110 miles in a 5 day stretch scares you, then I assume you will have a hard time doing 100 miles in under 30 hours. If you are wanting to run a 100 mile race, marathons should be very easy to you at this point and doing a 30 mile run should not even make you flinch. This is not something you do 4 months before the race nor is it something you do every other week for 3 months. You must have a solid 60-70/week base before you pull this off and doing it only one time 4 weeks before the race will make a notable difference. As with any hard workout, the more often you do it the better. I can’t handle it much more often than every 3 weeks myself. Many people in preparation of ultra events will do the ‘back-to-back long day’ workout where they do a 20ish mile day followed immediately by a 30ish mile day. I think these are a great idea, but still too short. The crux of the HSW is the 6th day, the long day. But before that, we must get through days 1 through 5. Day 1: Rest. Don’t run. How hard can that be? Well, this week is gonna be long, and days off are when you get the rest (pun intended) of your life in order. Most of us have personal lives, family, and work that takes up time. On the 0 mile days (1,3,5, and 7) is when your ‘real life’ takes precedence. You might be carbo loading and planning for the running days, but rest days are when you run (more puns!) your errands. You make dinner for your family, you get caught up on work. You are getting rid of any excuse you might have to cut your actual workouts short. Run days should be as clear as possible. I am happily married and have 3 kids and not a one of them complains about how I don’t spend enough time with them because I am out running. I take good time management skills of course. Day 2: The 30 miler. This short day is meant to just be another long run. You carbo load, take your electrolytes and fuel during runs, and do it gently and relaxed. You should use run as a test case for new things, beit clothing, location, pace, or whatever. This is the best day to try completely new things. These can also be specific types of long training runs such as carb-depleted runs or sleep-depleted runs. You want to pay very close attention to problems as they come up, including (especially) mental ones. Did you get mentally tired at mile 20? What did you say to yourself to get through it? 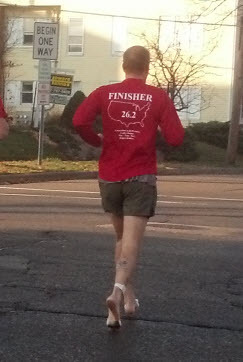 Leg cramps at mile 15? Did you take anything for them or did you just try to gut it out? Did that work for you? When you get home, write what you learned down or you will forget it. Day 3: Rest. See day 1. Remember, your family wants to see you too. See a lot of them today. Day 4: The 35 miler. This one will be a little tougher as you will not have recovered completely from your 30 miler just two days beforehand but that is a good thing. When you hit mile 20 you will be darn tired, but you have been thinking about this workout for a while. you have the route planned out, got your ‘aid stations’ system set, etc. You have little excuse but to ‘finish the darn workout’. Nobody said anything about fast. This is not a speed session, this is a time-on-feet exercise. Listen to a book-on-tape. Run a new scenic route. Embrace the difficulty by focusing on the benefits you are reaping. As with day 2, you need to be focusing on problems that arise but more importantly the solutions you implemented. Did they work or fail? If they failed, why did they fail? This is training where you work out these issues. No crew member in the world will know as much about your body and its issues than you do. Listen to the good and the bad. Do not ignore the bad news, or it shall be your undoing. Day 5: Rest. You might want to get a lot of sleep. Maybe spend the evening sitting on the couch relaxing with a loved one. You are going to need it. 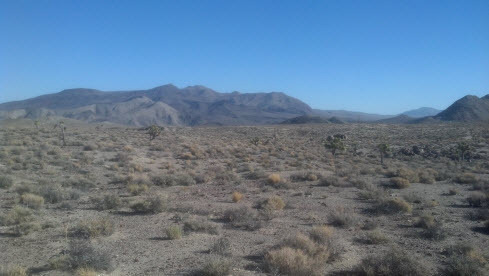 Day 6: The real long run of 45+ miles. This is obviously the most crucial part of the whole week and everything is focused on this day. I look at the day 6 workout as I would a serious race of marathon(ish) distance. This includes what you do the night before (what to eat, when to go to bed, etc.) when you get up and what you do immediately upon waking (shower, eat, poop…) Your clothes were picked out, route already planned, and fuel ready to go the night before. You are preparing your mind for the task ahead. Mental preparation and focus here is vitally important. . On day 6, you are doing nothing new. You are using proven techniques for clothes, fuel, routes, everything. You want to make your running conditions as perfect as possible because you are going to be out for a long time. Line up running partners to help you for part of the work out, stagger them if you have more than one. Load your .mp3 player with your best motivational tunes. This is your ‘race’ day of the week. The first HSW you do will be tough, but each subsequent one will be easier. The distance for day 6 is 45+ which mean you want to do at least 45 miles, as it won’t start being hard until mile 30ish. Be open to going longer. I have had many a day 6 where I was planning on doing 50ish and ended up doing over 60, a decision that was made at about mile 47. The speed of your day 6 workout is the last of your worries. You are just trying to get through the day. Survive it, and don’t cut it short unless you have a really good reason. Your body will give you plenty of excuses to stop, many of which you will think are completely legit at the time. Your stomach might get upset. Your legs might cramp. When they do, solve the darn problem. Or more importantly ask yourself this simple question “Well, if this happened now in my run, it stands to reason it would happen in a similar place in the 100 mile race. What are you gonna do then?” Whatever your mind tells you, do that here, in training. Build up the confidence that you can run on a slightly sore muscle or upset stomach, or mentally exhausted. Day 7: Rest. Hard. You deserved it. You should not be so beaten up that you can’t walk up stairs for days, but your legs should be rough. It will take you a few days, but that is ok. After your 100 mile race, you’ll be pooped then too. The first time you do any new workout is the hardest time. Each subsequent workout of the same ilk will be easier. The first time you do a HSW it will hurt, but so did you first marathon. 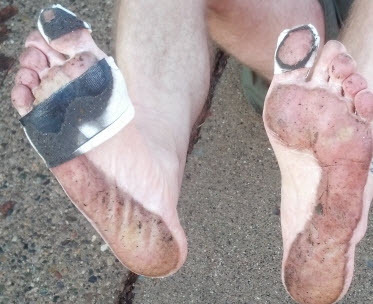 So did you first 15 miler. You’ll get over it. the more you sweat in training the less you bleed in battle. Where does my ‘base’ have to be before I try this workout? I think this would kill me. Ideally you should be able to be doing 60-70 mile weeks comfortably before trying this. Work up to it if that help you mentally. Do a 0-20-0-25-0-35-0 week to test out the challenge. I have small kids and a FT job, how can I find the time? Great question. I have a solution for people in just such predicaments. In fact, you will get even better Hundo training than us people who can do our runs during the day. What is I fall and sprain my ankle? Stop. Call in the cavalry. There is a fine line between tough and stupid. Touch, even caress that line, but never, ever cross it. Blood in urine? Stop, no matter how good everything else feels. I can do 100 miles a week, but only if I run 15ish miles per day. Isn’t that enough? I will answer your question with a question. A friend comes to you who is training for a marathon. They tell you that they run (dutifully) 6 miles every day. Thats over 40 miles every week. They ask you if they can run a marathon on only that training. What do you tell them? Do I really have to do 0 mile-days? How about some cross training? I rarely take days completely off myself. I might do some light cross training or a long walk to work out kinks. Just be light. Is it ok to walk during my ‘runs’? Power-walking? Heck yeah. You need practice walking anyways as you are going to be doing that in your Hundo. Don’t worry, everyone does. That (along with why skipping and lying on your back every once in awhile is a good thing) is another blog entry. I welcome your comments, but at my facebook page. Feel free to ask any questions! This concept copyright Dec 2012 by Mark E. Ott. Feel free to re-post and give credit, but don’t steal it, that’s just un-cool. Being a good parent requires sacrifice. Taking kids to school, doctors appointments, soccer games, and the water park all take time and energy. Playing with your kids, going to the beach on the weekends, throwing a ball in the backyard are even more important activities that cut into time we could spend on the trails, preparing for that next ultra. While most people can train for a marathon running on 40 miles a week, most ultra runners need much more than that, and hence more time spent away from our families. Parents who are ultra runners have an especially hard time because we feel guilty being gone for 5-6 hours on a Saturday when your kids want to be with you on the beach. As runners, we also try very hard to replicate race conditions in training. We test our shoes, clothes, run hills, test out foods to be eaten, and on and on. For longer ultras (100 milers) one critical race condition is almost impossible to ‘practice’; that being, the pure exhaustion near the end of the race when you seemingly have no motivation or energy to keep going. Even a 40 miler in training won’t help you much for that end game exhaustion. I recently married my second wife and now have 3 kids whose time I enjoy very much, but I wanted to be able to get to 100+ miles/week consistently without taking away any time with my family, and came up with a workout that solves all of these problems. The workout has three pieces and is meant to be done during a normal workday when spouses are at work and kids at school. The leaving your weekends free for fun and relaxation. Phase 1: Wake up at 3am and take some time to wake up. Have a cup of coffee, small breakfast, or your standard pre-long run fuel. Grab your running gear and set off for a 16-20 mile run near your home. You will be out in the dark on roads with drivers not expecting runners that early so you need to be careful. Time it such that you are home before your kids wake up. Phase 2: Now that you have had a good workout getting endorphins flowing, you start your normal day. Send the kids off to school, go to work, and keep moving. When you get home don’t relax or take a nap but rather spend quality time with your family. The key is to become (and remain) tired. Put the kids to bed and then stay up maybe cleaning the basement, organizing your running clothes, whatever. Just don’t stop moving. Phase 3: At midnight or so, grab your running gear and head out and do another 16-20 miler. By far the hardest part of this entire workout is the start of this second run for the day. This is what the rest of the day has been focused on. Get out there and start running. After a few miles, you wake back up and make it through. At first look, you might think that this workout will kill you. Remember that first 15 mile run you ever did? Remember how awful you felt afterward? After a few such runs, they become easy. This workout is similar in that each time is easier than the last time. Your body will adapt quickly to this crazy plan. This is meant to be your long run for the week and if you do it on a weekday, your weekends can now be spend more with your family than alone on the trails. With a little planning and sacrifice of your time, you can get weekly long ultra training run done without your family having to lose their time with you. Weekends can go back to being family time, sleeping in, playing on the beach. Something all parents wish they could do more of. Well, this is a story of two acts, a joyous drama that crescendos then drops to a horrible low point where, for a brief time I truly consider that I might just have run my last ultra, ever. This one could make a good movie, actually. Let us go quickly back to the Winter Beast of Burden (hereafter known as BoB) back in January of 2012. 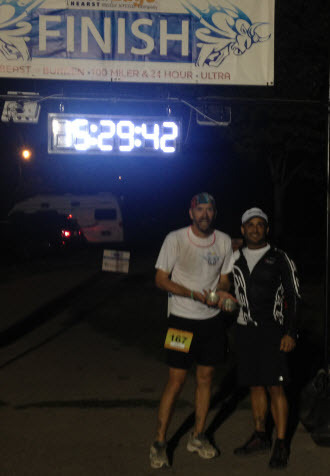 It was my worst 100 mile race with a time just over 21 hours. I had made several mistakes including not consuming any caffeine, not using my headlight much and listening to the wrong things on my mp3 player. 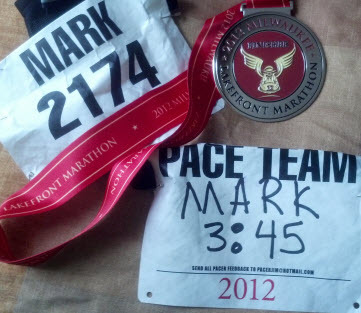 So in April of 2012, I had an opportunity to redeem myself at the Philly 100 race. 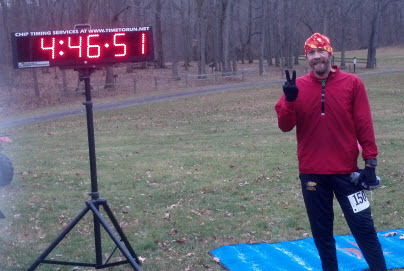 I started out a little slower and fixed the obvious mistakes I made at BoB and ran a 16:59, good enough for a win. After that race, I knew that I could really start to make a mark in the ultrarunning world if I trained a little smarter. 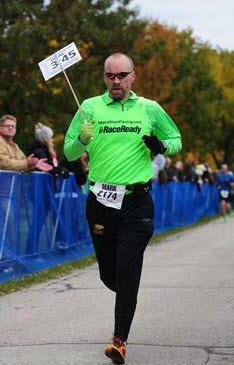 My sights were firmly set on the next race, the Summer Beast of Burden, which just happened to be on my 40th birthday. I spent the summer pioneering (I think, for I have never heard of anyone else doing it) a new 100 mile training strategy. There are plenty of people who training for ultras running by running 100-120 miles per week usually consisting of 10-15 miles each day with longer 25-35 mile runs on the weekends. What I wanted to do was try to mimic race conditions a little better, getting my body used to the slog of 100 mile races. So, in the peak of my training, 1 weeks mileage record might look like this: 26 - 0 - 29 - 0 - 35 - 0 - 50. The theory went that my body had gotten used to 26 mile runs after a zillion marathons so doing a 15 miler was not doing me much good training for a 100 mile race. Understand, these long days were never fast (4 hour marathon pace or so) and I mimicked race conditions as much as possible including run fuel and such. Train as you fight, they say. The more your sweat in training, the less you bleed in battle. Pick your motto. I have known for a long time that I am not that tough mentally as a racer and I am the first one to ‘sluff off’ in a race when the going gets tough. The idea here, was that I train hard and then when I get to the starting line, I shut my brain ‘off’ and let muscle memory and my body do the work. This concept was first tested at the Philly 100 and that test went quite well,so why not push it? One day I was doing my really long run for the week (50 miles) and I was feeling good and noticed that I still had some time before I had to go get my kids from school, so I decided to extend my run to 62 miles. Again, this was a gentle pace with a healthy amount of walking involved, but still, it was a 100k ‘training run’. I have always been blessed with few injuries and I was smart in my training, taking precautions and listening to my body, but I was always willing to push it to the limit, but never going past that limit. I was feeling great going into this race, about as good as I could have. 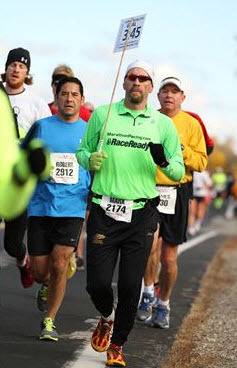 My 100 miler taper is usually 3 week long with weekly mileages of 75, 40, and 15 leading up to the race. Tapers are always tough for me, especially when I am consistently doing 110-120 miles leading up to it as I end up feeling bloated, fat and slow as the race nears. This race was no different, but I knew that was ‘standard’ so was not too concerned. Misty and I take off Thursday after her workday ended and we crash for the evening in London, Ontario, a little over halfway to Lockport, NY, where the race is located. We decided to make it sortof a honeymoon weekend since the kids were all with their ‘other’ parents. 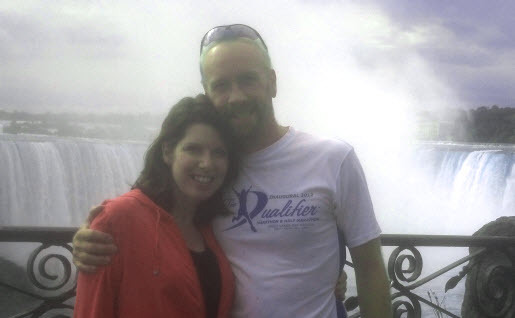 Friday morning we head for the Canadian side of Niagara Falls, reliving our third date a little over three years ago. We had a great time there, a pleasant lunch at the Hard Rock Cafe, then on to Buffalo to see the latest Jason Bourne flick. It was totally relaxing, and I was feeling great. I was amazingly calm considering how focused I have been the last few months on this race. While on the Canadian side, we stopped at Guinness Book of World Records Museum. Did you know that if you have a World Record, you get in for free? It’s true. 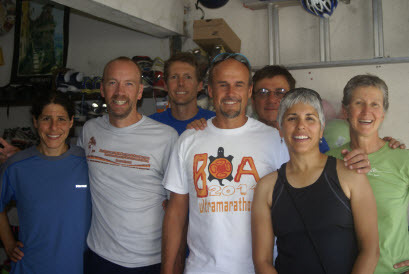 Later Friday afternoon we headed to the unofficial pre-race meal at a small local restaurant to chat with some of the race volunteers, crew and fellow runners. As is par for such events, the conversations were fun and informative, everyone having opinions on various other ‘Hundos’ around the country. There were a few people who (as a group it seems) came up from Florida to take on the Beast. When they found out it was going to get into the 50’s in the evening, they shivered. It’s all about perspective, I guess. Fellow ultramarathoner and great friend Kai showed up a little later to and by 9 pm, the three of us were back in the hotel room for the night. Kai snores a little, but everyone seemed to get a good nights rest. So far, so good. The race start is not until 10 am, so we slept until 6ish, taking our time rising and then headed down for a nice hot hotel breakfast of eggs, sausage, yogurt and coffee. There were at least six other runners staying at the same hotel partaking as well. More conversation, mostly now focused on how awesome a day it was going to be to run.The coffee was especially delicious to me because I had stopped all caffeine consumption 10 days out so that when I drank Mt. Dew, Red Bull and 5 hour energy drinks during the race, they would be a little more potent. And yes, that little plan worked too. We arrived at the start line about 80 minutes before the start, check in, drop our aid station bags, relax, and chat more with other runners swapping stories. The last few minutes before ultras is always more laid back than marathons. It could be the distance, it could be the people, who knows. With about 90 seconds left before the start, Sam the Race Director comes on the PA and tells everyone it is my 40th birthday and then yes, all the runners and crew who were there sang me ‘Happy Birthday’. That was totally cool and awesome. While the weather was not ‘perfect’, it was pretty darn awesome in my opinion. The high was for the day was about 80 and the low in the mid 50’s. For August in New York, we were happy. Previous years it has gotten into the 90’s and got people bad. 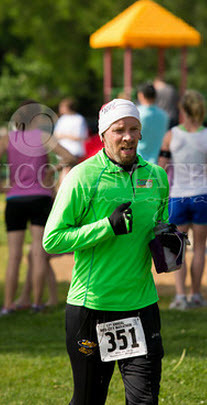 Having trained for and then crewed for Badwater this summer, I was quite happy with the conditions. What is very interesting is that the DNF rate this year was quite high, almost 40%. I had a conversation with the race director long after the race and he thought it was because people went out way too fast and when the temp hit its high rough 30% into the race, the runners began to suffer mightily. So I knew I wanted to start slow but steady so I ran with front group pretty much the entire first loop. 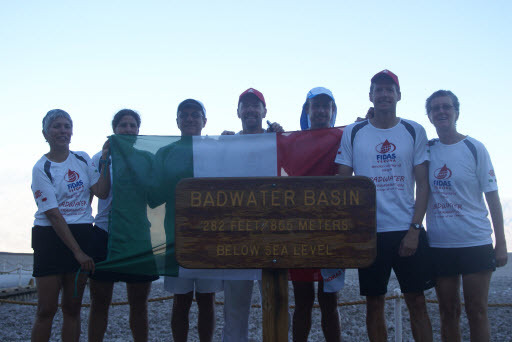 In that group was me, another accomplished ultrarunner (PR 16:40), World Class runner Valmir Nunes (Badwater course record holder) and 3 people attempting their first 100. At the Philly 100, I ran with some people slower than me just to get in my groove and it worked. It is nice to run with someone in the beginning because it makes those initial miles go by quicker. I wanted to get into my ‘rut’ of the race as soon as possible. I was glad to have these people to talk to and it was a hair faster than I wanted to go, but training had been so good and I knew that if I wanted to PR this day, I should be going this pace. Friendly banter continued until almost mile 35 before I was finally alone. The BoB course is a 12.5-out-12.5-back x 4 course with major aid at the turn and minor aid (no crew) about halfway out. At the 12.5 mile turn I get to see my lovely crew, Mistique. She is an awesome crew member because she listens to directions, which is what you want. Give her instructions and they are done, perfectly. And did I mention that she is really cute, too? I changed shoes quick (I wore the wrong pair at the beginning), swallowed 2 electrolyte pills, 2 amino acid pills, ate a cup of fruity jello, downed a can of V8 energy and swapped out my handheld bottle for a full one. All that, and I was out of there within 90 seconds of my arrival. A well oiled machine is what we were and I felt great, but granted I was only 1/8 into the race. In my (now full) handheld was gatorade laced with carbo-pro and electrolyte powder and in the pouch was a small tortilla with almond butter spread. A new race fuel for me (tested in training of course) which was 200 calories that can be downed in 4 easy bites. I would have 5 of these by days end. Considering I can almost never keep down solid food during ultras, this was the big coup of the race, my stomach ‘accepting’ this caloric contribution. As I rolled back to the 25 mile point (start/finish), I downed another can of V8 energy, more pills, more jello, new (filled) handheld and another tortilla. I also laid down and elevated my feet for a little while as well. I learned this trick from a friend at Badwater and it helped a lot this day. It’s a simple concept (also tested in training) where every 90-120 minutes you lie down and elevate your feet above for heart for 90 seconds. It is a good ‘reset’ of the blood in your legs and you feel a little refreshed afterward. Trust me, it works. Early in this loop I finally was on my own, so I pulled out my ipod for the ‘slow’ music of the day, the audio from the movie The Godfather. It took me awhile to get all the way through it as I would listen for a few minutes then stop it to chat with the aid station workers and other runners on the course. I would end up getting through The Godfather and half of The Godfather Part 2 before going to rock and roll at mile 62.5. 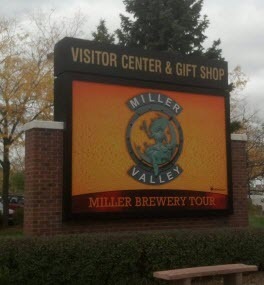 I finally took my first short walk break around mile 32. Knowing I would be powerwalking occasionally, I also trained for this in two ways. One is when you are walking in an ultra, keep your hands ‘above’ your waist. If you let your arms drop, you tend to walk slower. With your arms up in almost a running position, you naturally walk faster. The other trick was how to make the transition from walking to running. That (especially late in the game when you are tired) is always hard. To combat this, you don’t go straight from walking to running, you go from walking to skipping. You know, like a little girl playing in the park on a summer day. Do that for 4-5 steps then start running and you would be amazed how much easier the transition is. You look silly, but who the heck cares? Not I, obviously. 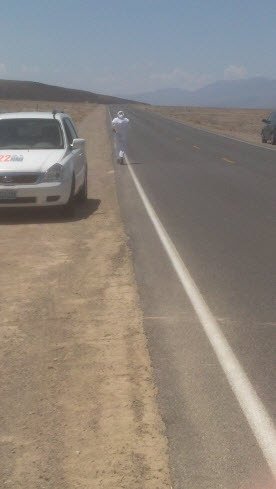 I came upon mile 50 and felt just fine. My legs were all good, brain and stomach just ducky. All that good news and the fact that I had only urinated once in 7 hours just slipped my mind. Change shoes, elevate feet, red bull, pills, go. Those long training days were paying off as I had been on my feet for over 7 hours and still felt fresh. Race start was late (10am) but I was running so fast, I still had quite a bit of daylight in front of me and I didn’t grab my ‘techno’ mp3 player until the mile 62.5 turn. I was starting to get a little tired and I knew I needed the music to help me through that. As I was headed back on loop 3, the sun reached the horizon and as I was running along the Erie Canal the mosquitoes came out something fierce. I ran through seemingly hundreds of swarms of baby mosquitoes, young enough so not biting-viable, but numerous enough that I swallowed my share of them. When I finally turned on my headlamp at about mile 69, the swarms looked like falling snow which of course reminded me of the winter BoB 100 race. I laughed out loud, no joke. I roll into the mile 75 turn now grabbing single servings applesauce packets instead of tortillas. Those packets were great and my stomach loved the taste of them, even after the jello wasn’t sitting that well anymore. At this point, I knew I had 5.5 hours to do the last 25 miles and get a PR and I was feeling great. I knew it might be awhile before I had such good race conditions. By this time I was doing 30 min run/5 min walk cycles and still maintaining a good clip. Almost every soul (except seriously elite ultrarunners) slow at 100 mile races, but this slow deceleration was great from my personal background. Put another way, I was doing great. 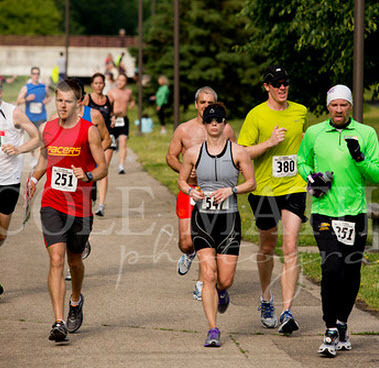 At the last turn, mile 87.5, I was rough. I felt terrible, but not because my kidneys (they felt fine, seriously) just beaten down and tired. Well, I felt like you should feel after 87.5 miles of running. I grabbed some more apple sauce, drank some red bull, downed my last pills and one more cup of jello/fruit, said thank you to the wonderful aid station workers since it was my last time seeing them, and I was out the door. Just hold it together. I managed 25 min running before my next walk break, a small victory in and of itself. I hit the mile 93.5 aid station and saw some good friends who came up from the Cleveland area to help out. They were congratulating me on my birthday (congratulations I was receiving all day) and they asked me if I wanted a beer and I said ‘sure’. They were surprised the guy in second place was willing to have one this close to the finish. I only drank about 2/3 of it and then headed out for the last hard miles. The last miles of races are always tough, but what was awesome is that I felt this way only after 90+ miles, not after 50. I was having a really hard time keeping my run time longer than my walk breaks but still managed, barely. I had decided at about mile 85 I was cool with a 15:45 finish time, but as the last half loop was drawing to a close and sub 15:30 was possible, I dug deep in my soul and picked up the pace. Official time: 15:27:56. 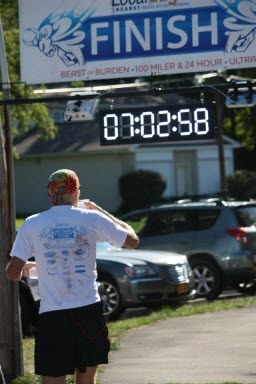 A new 100 mile PR by an hour and 5 minutes. I felt like I normally do at such a time, tired but very happy. I drank a little water and a cup of chicken broth and there was lots of congrats all around including with the winner, Valmir Nunes and RD Sam (whom deserves awesome kudos for running a great race) The race director personally wrote (with pen) my new time in the appropriate spot on my leg tattoo. I felt great and was glad to sit down and relax. I was making fine (slow) conversation, and if you didn’t know any better, you would think everything was good, considering. I knew I wanted to hang out for a bit to eat here so I could sleep better. I never sleep well right after a Hundo as my body is working overtime to rebuild my muscles. Hopefully with plenty of fresh fuel it might be easier for me to sleep. After about 10 minutes sitting there, I started feeling nauseous. Valmir the Great (who speaks broken english) tells me I should go out, put my finger down my throat and puke it up (he does this all by hand gestures, funny stuff) and everyone agrees that’s a great idea so I go out and do just that. Chicken broth and water up come. Valmir comes out with a blanket, and in broken english is asking me how I am doing, and covering me up with a blanket,. The temperature is in the lows 50’s, but I just stopped vigorous exercise so I was a little cold. A kind soul, Karin, who is friends with the official race folk (RD and head volunteers) decided to come down, hang out and help where she could. She has coaching experience and she came over to see how I was doing. She could tell by my low pulse (and me lying down in a bad way) that I needed fluids, quick. I sipped some small amount, then lied back down. Up a few minutes later, small drink, down. I barely moved in almost an hour and my pulse was still weak. Karin stayed with me the whole time, monitoring me and making sure I did not pass out as that would have been bad. Then I did bent over and tossed the water I had been barely holding down for the last hour. With little discussion, it was decided that I was off to the local hospital to get an IV. For those who know me, you will know how serious the situation was because I did not put up a fight at all. The hospital was close enough that Misty drove me the 2 miles and I was admitted into the ER just over an hour after I finished the race. It took about 20 min of questions, paperwork, before I finally got an IV in me. They took some blood samples and I rested there, trying very hard not to pass out. I was trying to keep the mood light, even saying “there’s no place like home” to keep me awake. The ER nurse didn’t seem to have a sense of humor at all. Misty was very concerned but being calm knowing that her freaking out at all would make me worse. I love her so dearly. I finally call up Misty, wake her up and tell her to come in so I can give her the update. Through sobs, I explain what I have learned and the ‘worst case scenario’ of each component of the diagnosis, as it presently stands. Saying it outloud was almost worse. The first good sign is when at 5 am, the ER doc tells me that I am NOT going to Buffalo after all and that the cardiac guy is coming on Monday at 9am (28 hours in the future), here at the hospital and I am going to be admitted to the ICU for ‘observation’. Gotta love the scientific method. As I come to find out, there is a easy way to test which cause (kidney problems or heart attack) caused the elevated enzymes. Load the guy up with IV fluid (6L, maybe?) let it settle and then test again. If the levels start heading towards normal, it was the kidneys only. If they remain high, it was the heart and still possibly kidneys. It’s a logic puzzle, you see. 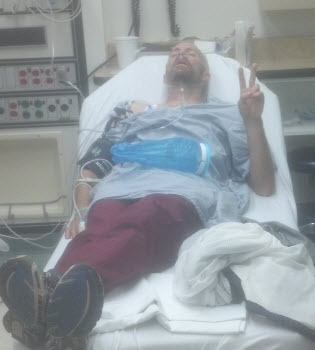 I am moved to the ICU at about 6 am get more blood drawn, and meet the new kind folk there. At about 9 am, a sweet older polish woman (my doctor of the moment) comes to tell me about the newest batch of tests. I quiz her hard so I understand all of the information she is giving me. The levels did drop greatly towards normal between test 1 and test 2 and she says with high confidence that I will be ‘just fine’ in a day or so. I ask her straight up if I had had a cardiac ‘event and she says that she is 90% sure that no, I was fine there. She asks me questions about why my kidneys might have been screwed up. She asked me if I drank the night before the race. I told her I did, and I usually do to help me sleep (true). She said ‘that might have contributed to it’. She then said steroids could also have caused the rhabdomyolysis, my official diagnosis. I admit that I have been on steroids to combat a nasty case of poison ivy I got last week. Her eyes light up, she points at me and says “Well, there ya go”. I ask ‘So this is a one time incident, no harm done, just a bad set of circumstances”? She said yes. I say “So as long as I keep a better eye on my pee and if it gets red, stop right there and seek medical attention I should not fear the long term effects of this event?” She says “Exactly”. If I wasn’t married, and her not 65, I would have jumped up and kissed her. I still have to hang out for another 24 hours for them to observe me, just to be absolutely sure, but my mood is vastly better. Now I have to spend the rest of the day undoing the facebook hullabaloo I started. I was in a bad way, but not nearly as bad as first expected. I got to enjoy some hospital food which wasn’t that bad and I tell ya, IV drips are a good recovery ‘drink’. Thirty minutes after the race officially ended (about 4:30 pm) Sam the Race Director himself shows up to see how I am doing, telling the ICU people he is my brother. He really is a nice guy and we have a good conversation about my day, the race in general, and conditions that led to me being in the ER which, it turns out were similar to something happened to him after an ultra. Twice. He also pointed out that if every finisher came over to the ER and had the same blood test done as I did, most would have similar elevated enzymes levels due the stress that was put on the heart. 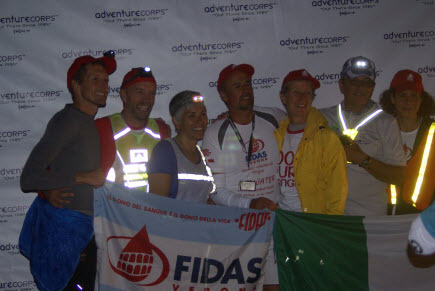 ER doctors have very little experience with ultrarunners, as generally we are freaky healthy and do not come to ER’s. What a great learning experience, for everyone. I spent Sunday night in the hospital, sleeping quite hard which was no surprise. I was hoping to get out early, but feared I would be down the totem pole of priority as I got moved out of ICU into a ‘normal’ room at 2:30 am Monday as they needed the space. The doctor came in a little after 8 am to give me the latest. He was the third doctor I had talked to since I came in at 1:30 am the previous day and he was by far the most knowledgeable of the medical condition from which I suffered from. He did not know when he first came in that I had even run a 100 mile race and as soon as I told him, he rolled his eyes and said “Well that explains everything”. It was (almost) comical. He told me that my latest set of blood enzyme tests were still elevated but going in the right direction and that I could go home if I promised to follow up with my doctor back home. It took a little over an hour for all the paperwork to be filled out and needles yanked from my body and Misty and I finally got on the road and headed back to Michigan, getting home about 5 pm Monday. Wow, what a weekend. While this is an educational weekend for sure, it was also exciting and eventful. I felt mortal, which is a good thing. I love running.